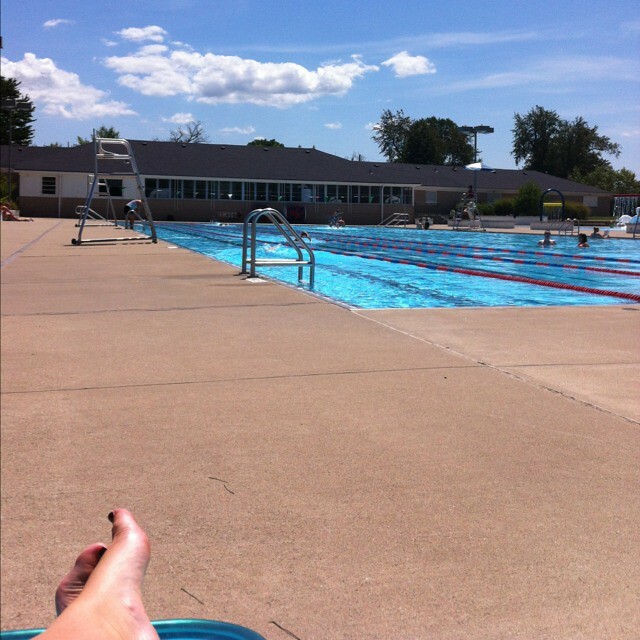 a little bit of everything...: Blogging from the pool... Combining two of my favorite things. Blogging from the pool... Combining two of my favorite things. Just within earshot to my left are two teenage girls, 17 at most. Just within earshot to my right is a woman every bit of 50, and a guy friend of hers. One of the teenage girls and the woman are each talking about guy issues and I SWEAR to you, I wish they could hear each other, because they're telling basically the same story. "And we went on two dates, and I think we had a good time..."
"So he said he'd call the next day and it was two days before he did..."
"I think I really like him, but I'm not sure. It's still early on..."
It just strikes me as funny. As someone living happily in the middle (by current proximity as well as age) of these girls, I've uttered these exact same phrases on numerous occasions.